An extra early start led to sleep-deprived scenes around the onboard Nespresso machine, that closely resembled a scene from Dawn of the Dead. However, after an injection of caffeine (in both liquid and gelatinous format), some professional napping and an embarrassing comparison of language skills (for the Brits onboard at least) resulted in an increasingly raucous team motivated for a trip to the small district of Ban Pa, to see the second largest company in Thailand, the Siam Cement Group (SCG). A brief introduction informed us that SCG was initiated by a decree from King Rama VI in 1913. 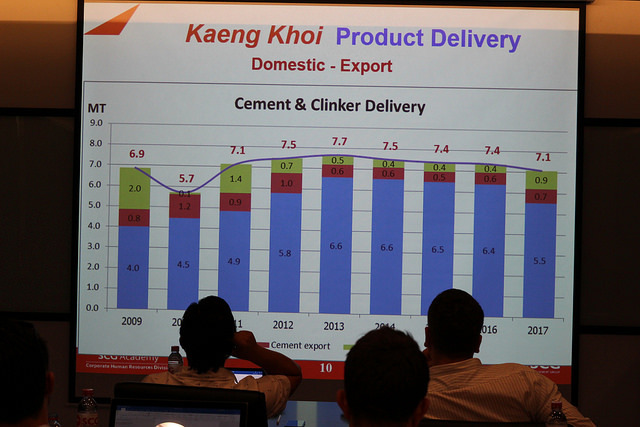 Since then, the business has gone from strength to strength, establishing a large market share domestically (41%) in the cement market, while also broadening its portfolio to include other building materials, chemicals and packaging products. SCG’s total revenue of around 450 billion baht (~£10.5b) is built on a strongly established reputation for quality and is heavily centred on the domestic and regional markets. 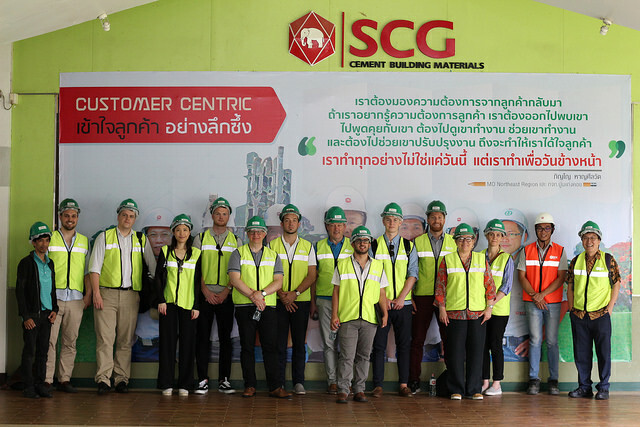 Numerous manufacturing facilities in South East Asia (SEA) allow SCG to produce 23.4 million tonnes of cement a year, with the plant we were visiting capable of producing 24,000 tonnes of cement a day and actually produced 7.3 million tonnes last year. 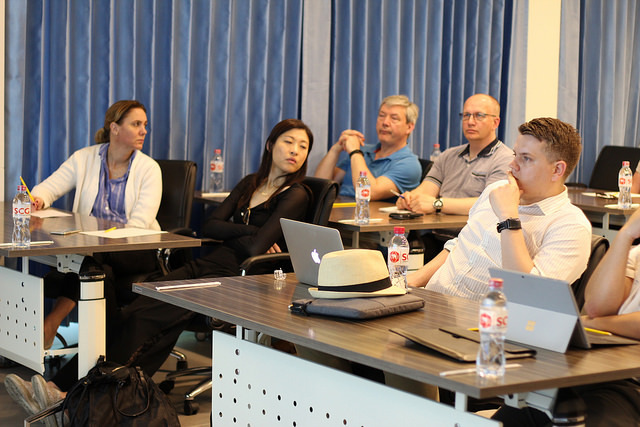 We were given a fascinating and in-depth introduction to the almost completely vertically integrated process that SCG undertakes in their production of cement. 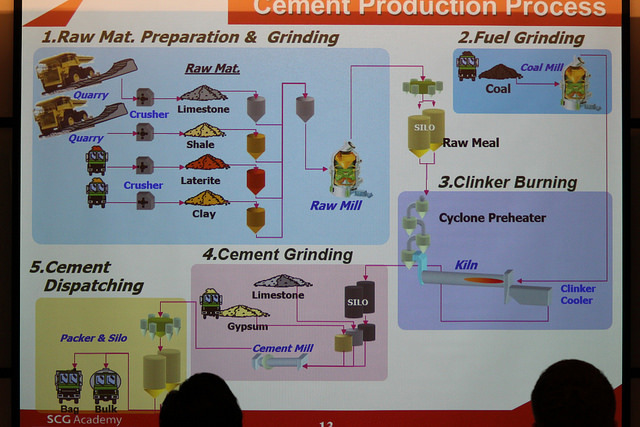 This included a walkthrough of each step, from the mining process of the raw materials (Limestone and Shale), the subsequent production of Clinker (a core material required for cement production) and the ultimate grinding, packaging and logistics processes that underpin SCGs success. Following a quick break and some delicious sticky mango rice, SCG prepared to give us a presentation on one of the jewels in their operational crown, a source of deep pride and competitive advantage: their environmental sustainability policy. However, they were completely unaware of the perils that came with this aspect of their talk. SCG had not seen the signs. They hadn’t noticed the hushed silence that fell over the group when we heard the words ‘mining operation’. Nor had they observed the restless fidgeting and nervous looks that were exchanged when they mentioned their ‘quarry’. They had no idea that Cranfield had brought with us our very own champion of ecological responsibility: an eco-warrior known to not only crush foes under the weight of his extreme knowledge but to subsequently dispose of their lifeless corpses through a series of environmentally responsible methods that maximise their ecological benefits and minimise waste – Toby Robins. Toby had been preparing for battle from the outset, amassing an arsenal of lethal questions that would test SCG’s sustainability far more than any ISO accreditation ever could. The rest of us closed our eyes, took a deep breath and sized up the potential escape routes. Battle commenced and Toby unleashed hell: volleys of questions reverberated around the room that in most places would have reduced the presenters to a smouldering pile of biodegradable ash. However, unbelievably, SCG’s counter was impressive, not only giving excellent responses to all Toby’s questioning, but demonstrating their credentials with a five-year run of being a Dow Jones Sustainability Index Rating leader that Toby described as “Very Impressive”… Not only had SCG emerged from the lion’s den unscathed, but they had come out with the greatest sustainability accreditation any of the tour group are aware of, the Toby Robins seal of approval. 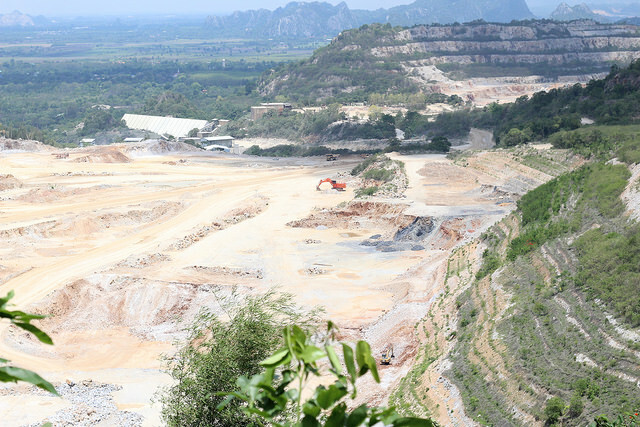 The source of this approval was based upon SCG’s highly developed sustainability policy which included measures such as specifically designing their quarry to minimise environmental impact. Buffer zones, ecological studies and a habitat re-establishment policy were just some of the initiatives that had resulted in global recognition for their achievements in the last 15 years. Once the presentations were over, we were given the opportunity to drive to the quarry itself to see the mining operations and learn more about how SCG replanted trees and protected the biodiversity of the area before, during and after their mining operations. The scale of the operation was impressive, as was witnessing firsthand the results of the aforementioned environmental initiatives. Flora and fauna had returned to the area in abundance (up to 94% for certain types of animals), which could be audibly felt as we stood on the observation deck. It was a remarkable achievement considering the devastation that mining of this generally causes the environment it happens, through careful planning and consideration, SCG had enabled the local habitat to quite literally rise from the ash and dust of its activities. Our visit was complete when after completing the quarry visit, we ended with a fantastic Thai meal which was spent discussing everything we had just seen. Our next stop was to be to SCG’s distribution centre in the afternoon.